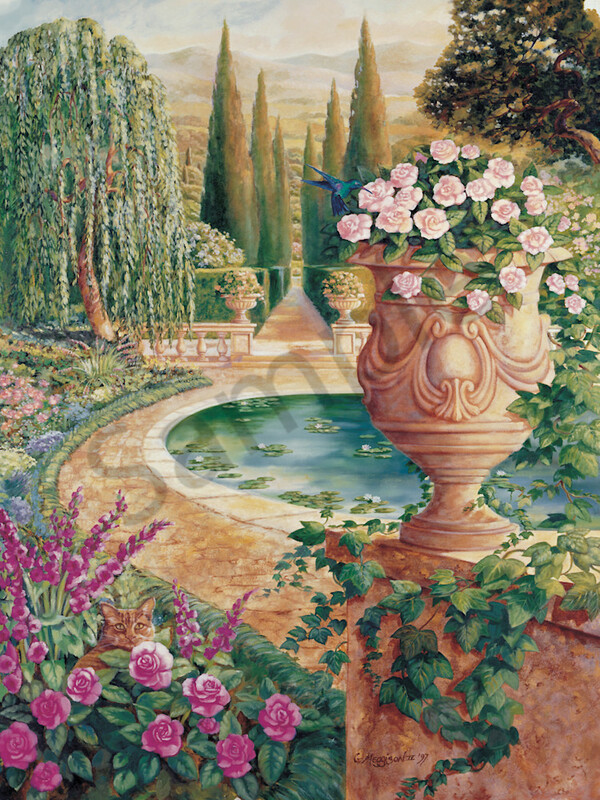 Roman Garden was originally painted as a 36" X 48" oil. It is only available as a print. (Select "Wall Preview" below for a room type, size and wall color to better view the art). Roman Garden was a fantasy of the golden age style when graceful gardens were a statement of one's philosophical leanings! I was interested in a Tuscan Garden Italian style scene. (Select "Wall Preview" below for a room type, size and wall color to better view the art).